The NFL’s 1 percent TV ratings increase for its opening weekend this season proved to be fleeting good news. Week 2 numbers plunged 4.4 percent from the same week last year. This season’s Week 2 rating, 8.7, was down 4.4 percent from the 9.1 for the second week of the 2017 season, according to Nielsen numbers obtained by Sporting News. This season’s average Week 2 audience, 15 million viewers, was off by 4.7 percent from 15.8 million during the same week last season. As for the comparison between Weeks 1 and 2 this season, the numbers were down 7.4 percent and 8 percent, respectively, from Week 1’s 9.4 rating and 16.3 million average viewers. While ratings for traditional Sunday afternoon games have been strong, the league’s primetime games have suffered. That raises the question: Is there too much evening football on Thursday, Sunday and Monday nights, when the TV competition from comedies, dramas and reality shows is greater? For example, take an upcoming NBC “Sunday Night Football” telecast, Tom Brady’s Patriots vs. Aaron Rodgers’ Packers on Nov. 4. Such a marquee matchup should generate boffo ratings. But, Adgate asks, what happens if Rodgers, Brady or both are out with injuries? “There’s some things even the NFL can’t control,” Adgate noted. The havoc wreaked by Hurricane Florence on the East Coast certainly hurt NFL TV numbers in Week 2. But not helping matters is the fact that some of the biggest national TV draws aren’t exactly setting the league on fire. The NFL’s biggest national TV draw, the Cowboys, are 1-1. There’s a noticeable lack of buzz around Dallas. The league’s second biggest national TV draw, the Steelers, are 0-1-1. The Patriots and Packers are 1-1 and 1-0-1, respectively. As for NFL players protesting for racial justice during the national anthem and how they relate to TV numbers this season, as per usual with regular-season telecasts, the league’s TV partners are not airing the anthem. Any players kneeling, raising a fist or otherwise protesting are not being shown on live TV. Still, Adgate noted, any TV show that draws 15 million viewers is a big success in today’s watered-down media market, where consumers have more options than ever. The NFL can take comfort in the fact that ESPN’s “Monday Night Football” telecast of Bears vs. Seahawks topped the Emmy Awards, which fell to an all-time ratings low. 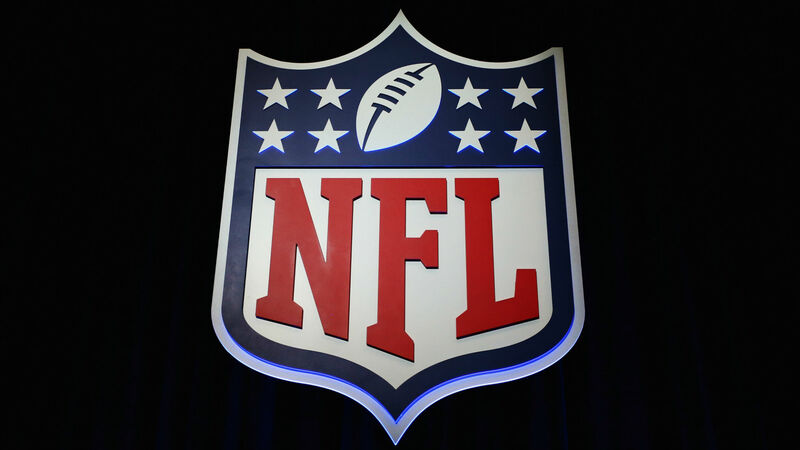 Yes, the NFL is still king, but the league’s high water mark was the 2015 season, said Adgate. Sports TV insiders are beginning to question how long the NFL’s reign will last with the NBA coming up fast. What must concern the NFL is whether the love affair between pro football and its fans is waning — and how that might impact the next round of TV contract negotiations in 2021-22.